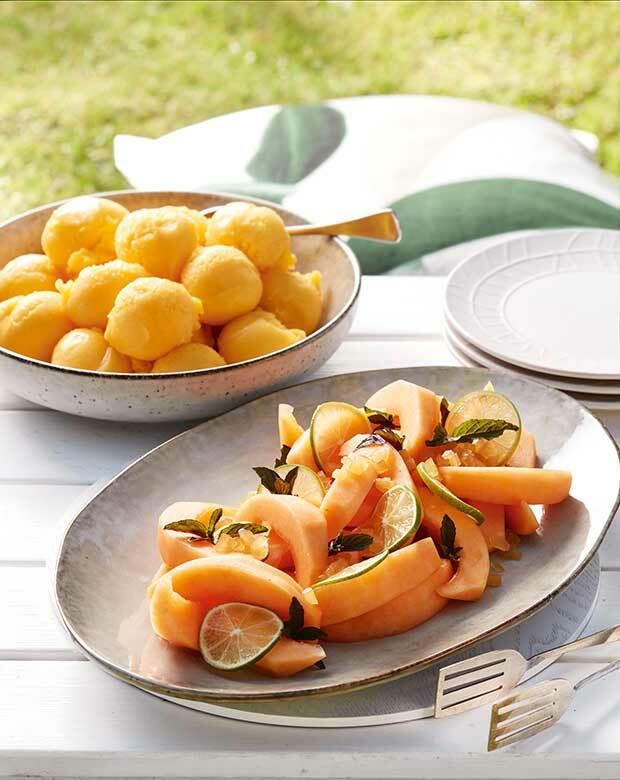 Cut melon into wedges and place on a platter. Add ginger, ginger syrup and lime juice and toss together. Scatter lime slices and peppermint leaves over melon. Serve with Mango Sorbet. Cook’s tip: If mint grows well in your garden, peppermint will thrive there too. Put the sugar and water in a small saucepan set over low heat. Stir to dissolve, then increase the heat and bring to the boil. Reduce heat and simmer for 3 to 4 minutes, then cool to room temperature.